On November 12th at around 11:45 a.m. a man riding his bicycle to work was struck by a van just west of the intersection of West Cortland Street, North Clybourn Avenue and North Racine Avenue in Chicago. With weather conditions nearly ideal for riding, the cyclist was signaling that he was merging to turn left when he was struck from behind by the van. The collision slammed him to the ground where the impact broke his nose. The bicyclist was wearing a helmet. Initially, the driver of the van stuck around but left the scene before police and emergency personnel arrived. The cyclist made a record of the van's license plate number and reported it to police before being transported to Illinois Masonic Medical Center for treatment. Our law firm is representing the bicyclist and anticipates being able to identify and locate the driver. FSA crank sets used on many popular bicycle brands were recalled yesterday by the manufacturer and the U.S. Product Safety Commission. Cracking on the non-drive side crank arm has been reported with over tightening of the crank bolt. Injuries have been reported. Click here to learn more about this recall. You've crashed and lay unconscious, bleeding on the side of the road. A passerby calls for help and rescuers arrive. They can transport you to the nearest hospital but who else do they notify that you've been in an accident? Though you cannot communicate with them, you wisely brought your cell phone with you for the ride. Finding it, rescue personnel will immediately search for one thing among your list of contacts: "ICE". About five years ago, first response rescue professionals began the ICE, or "in case of emergency," program which encourages all persons to create an ICE contact in their cell phone contacts list which can be quickly accessed to notify someone close to you that you've been in an accident. Great idea, especially for people who engage in risky activities like cycling. Giant Bicycle, Inc. and the U.S. Consumer Product Safety Commission announced on Friday the recall of the company's 2011 Anthem X 29er mountain bike. "The frame can crack at the junction of the seat post and top tube, posing a fall hazard to riders," according to a release from the Commission. No injuries were reported due to the defect. 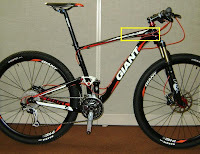 If you have one of these bikes, stop riding it and contact an authorized Giant dealer for more information. In the print edition of today's Chicago Tribune, editors published an anti-bicycle rant by a reader. The Tribune included the angry letter at the top of the "Voice of the People" section along with a cartoon of a road raging motorist next to a cyclist. The screed, titled "Dangerous bikers," contained the tired old anti-bicycle rants heard many times before: Bicyclists are anarchist rogues who do not pay to use the roads that belong to cars and cars only. Bicyclists are "dangerously selfish" and pretty much deserve whatever abuse they receive from motorists, writes the bitter author. They should have to buy licenses and city stickers. The letter contains little thoughtful reflection from a person whom I'm guessing doesn't ride. City bicyclists face chaos and hostility at nearly every turn. Illinois law requires bicyclists to ride as far to the right curb as possible, but that is not as simple as it sounds. The right side of the road often contains potholes, torn-up pavement, parked cars, double parked delivery trucks and disembarking taxi cabs, among other hazards. Staying out the "traffic lane" isn't always avoidable and bikes sometimes find themselves needing to take the lane. Apparently, some see this as bikers acting like they "own the road." This is something Illinois law permits bicyclists to do when circumstances require it. Even when a bike lane exists, a cyclist utilizing it finds himself or herself in close proximity to parked cars which may at any moment, and without warning, open a door into the cyclist's path, a potentially deadly situation. While traveling in our city's streets the cyclist must also deal with cars and trucks that turn without signaling; pedestrians who mindlessly choose to cross the street mid-block without looking; and texting, eating, eye make-up applying drivers focused on anything but the road, just to name a few common hazards. All of this with no protection, but perhaps for a piece of styrofoam upon their heads. Often, the price paid by cyclists for trying to save money, save the planet, get some exercise and rigorously enjoy life is death or serious injury. You'll forgive us, dear motorists, if we get a bit . . . frustrated while out riding. Until we have buffered bike lanes, bike boxes, designated boulevards and a transportation infrastructure that truly takes bicycles seriously, cyclists will be left to ride defensively. Yes, there are bad cyclists out there, as there are bad motorists. But what may seem like unnecessarily aggressive cycling may actually be the best and safest approach to a given situation. As for the notion of taxing bicyclists, it turns out that cyclists already overpay to use city streets. "Every time somebody gets on a bicycle instead of in a car, the city saves money," according to a very interesting analysis by the folks over at Grist. Along with your helmet, headlight and flat tire kit, your smart phone should be with you when out biking. Not only can you use it to call for help if something goes horribly wrong, you can use it to create a detailed record should you be involved in an accident. 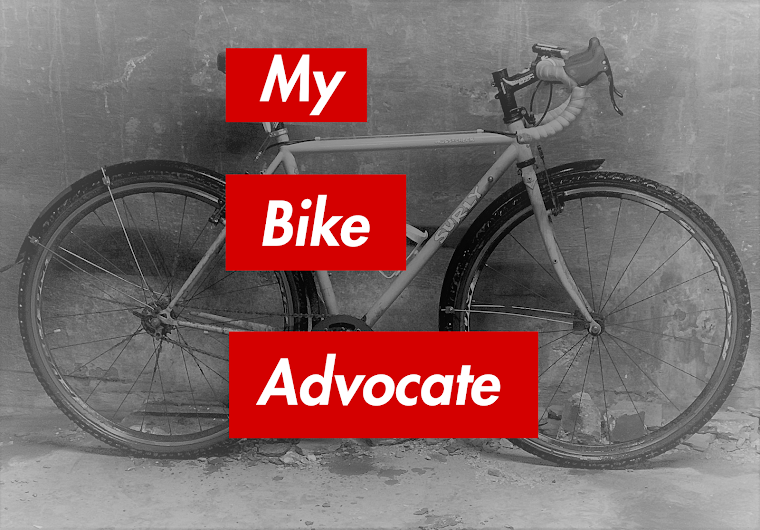 I've written about what to do after a bicycle accident. But following a wreck, remembering the right steps to take when you are in pain, your adrenalin is flowing and your thoughts are racing isn't easy even for the most level headed rider. I recently came across an iPhone app, iWrecked, that could be an invaluable tool in helping the cyclist make a proper record of an accident. I've had a chance to play with it a bit. With a simple click the application opens a simple form to be filled in with pertinent information about the incident. It will dial 911 for you, call you a taxi and even help you find a local police station. Learn more about this app by clicking here. The anti-bicycling video below aired on Chicago's ABC 7 News over the weekend. Its point was to demonstrate bicyclists violating traffic laws. It is true that bicyclists are required to abide by the same traffic laws as motorized traffic. However, I would have liked the news piece to have taken note that bicyclists are among the most vulnerable users of our roads. The vast majority of cyclists are not trying to be outlaws. People bike in the city to stay healthy, enjoy themselves, reduce traffic gridlock and save money. But biking in Chicago is dangerous. The name of the game is to be safe, to stay out of the way of motorized traffic when possible. Sometimes the best way to do that -- the safest approach -- is to take action that technically violates the law. People ride on the sidewalks because there are no cars there. Sometimes cyclists slow and go at traffic control devices to stay ahead of motor vehicles. There are reckless biking scofflaws out there to be sure, just as there are law flouting motorists on the roads. It would have made for more interesting viewing had ABC 7 chosen to delve more deeply into why some bicyclists feel it necessary to violate traffic laws when out riding. One troubling implication of this story was that bicyclists tend to be at fault for causing their own injuries. There is a bit of mythology in that suggestion. A recent study demonstrated that it simply is not true. No mention was made of that by ABC 7. (b) Every bicycle shall be equipped with a brake that will enable the operator to make the braked wheel skid on dry, level, clean pavement. 9-52-080. (c) Every bicycle shall be equipped with a brake which will adequately control movement of and stop and hold such bicycle. 625 ILCS 5/11-1507.Neither law defines the term "brake". Neither states that the required brake must consist of a lever, cable and caliper. As fixed gear riders know, the bicycle's drive train consisting of the fixed rear cog, chain, cranks, pedals and the rider's legs act as a braking system, one that works better than the uninitiated may think. It is common to abruptly stop pedaling locking up the rear wheel causing the bike to skid to a complete stop. In fact, one U.S. jurisdiction, Washington D.C., has changed its cycling ordinance to explicitly permit the fixed gear braking system.